This amazing collection of Fall Soups And Stews Recipes will surely delight you. Nothing warms better than a bowl of warm creamy soup or veggie stew on a cold day. Nothing and I mean NOTHING feels better than a bowl of warm creamy soup or a veggie stew on a rain-ish sunless Autumn’s day. I know you can feel me right now?! It’s the ULTIMATE feeling. Especially if you feel like you gonna catch flu, or you have a sour thought … or if you simply had a bad day. Soups and stews are the ultimate comfort food + both are SUPER easy to make. I’m a huge fan of ALL soups and stews out there. HUGE! Or let me put it in other words – there are NO soup nor the stew I dislike. Soups and stews are the must in my house. Not only during Fall and WInter season but throughout the whole year. 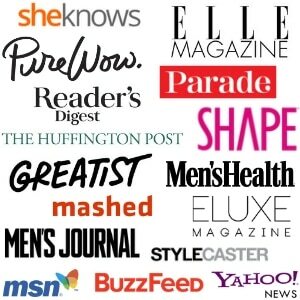 Because I’m such a huge fan, I made this AMAZING collection of the Best Fall Soups And Stews Recipes! I’m sure you’ll find one (or two) that you’d love to try. All these soups and stews will not only keep you warm and fill your tummies, but it will HEAL you, boost your immunity and surely satisfy you. Can’t wait to hear which ones you like the most. Vegan Mushroom Barley Soup | Cilantro and Citronella | Get the recipe HERE. 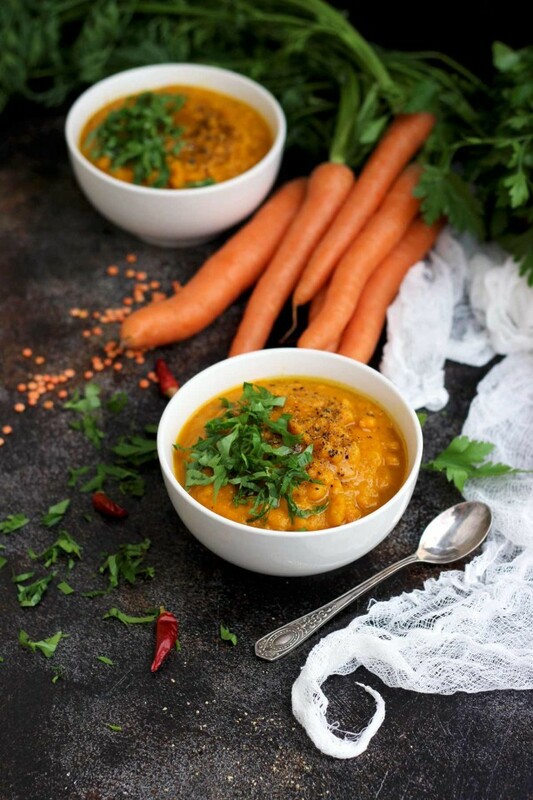 Vegan Roasted Carrot Soup with Lentils | Happy Kitchen Rocks | Get the recipe HERE. 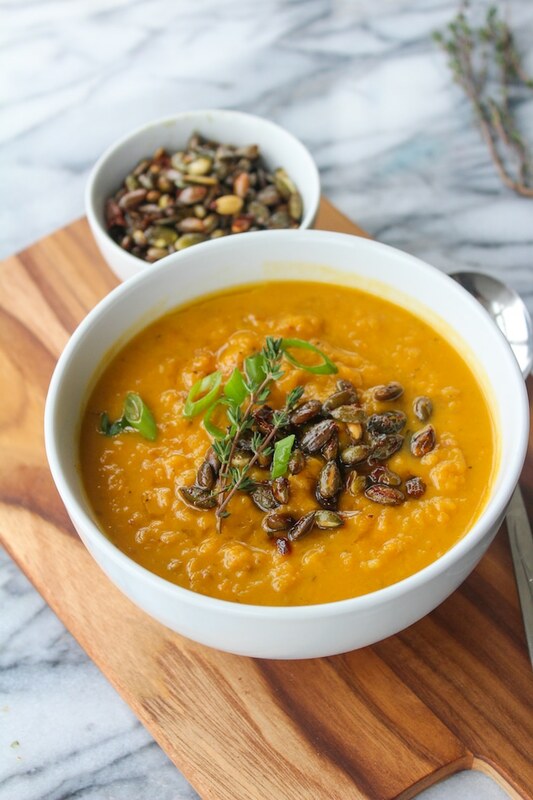 Sweet Potato Soup with Spicy Toasted Pumpkin Seeds | A Saucy Kitchen | Get the recipe HERE. Turkish Split Pea and Vegetable Soup | The Cook Report | Get the recipe HERE. 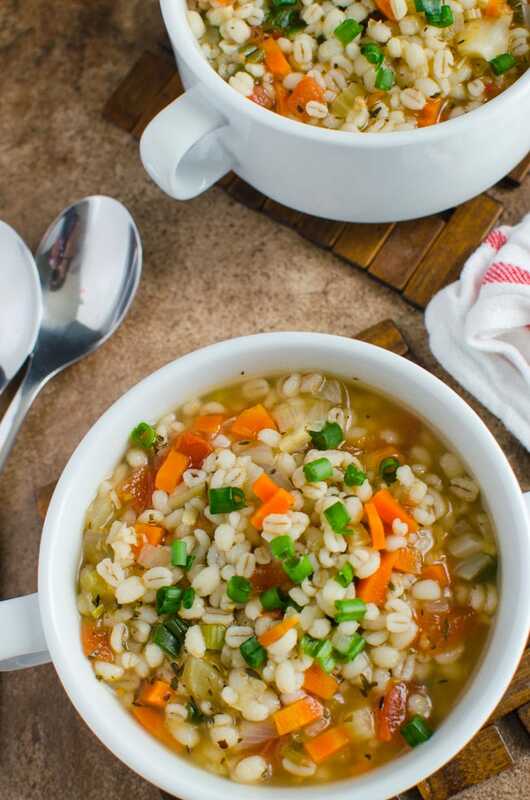 Barley Soup | Watch What U Eat | Get the recipe HERE. 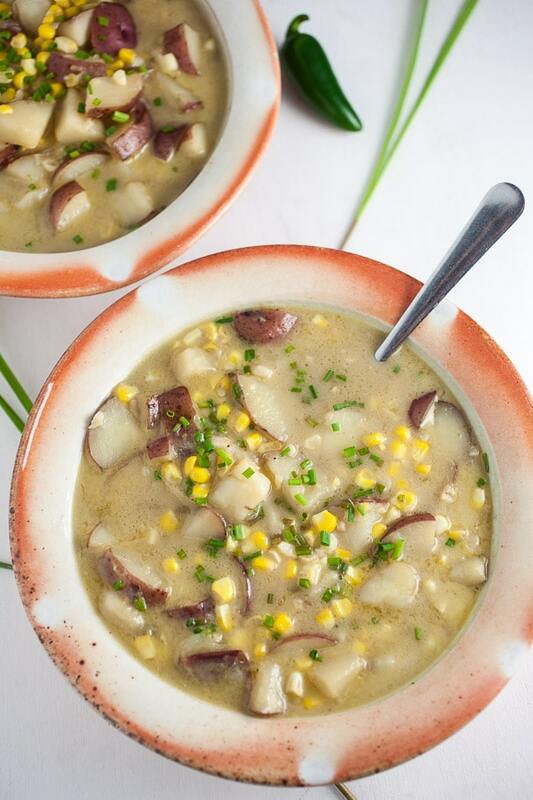 Thai-style Potato and Corn Chowder | The Rustic Foodie | Get the recipe HERE. Spiced Roast Pumpkin Soup With Garlic Croutons | Domestic Gothess | Get the recipe HERE. 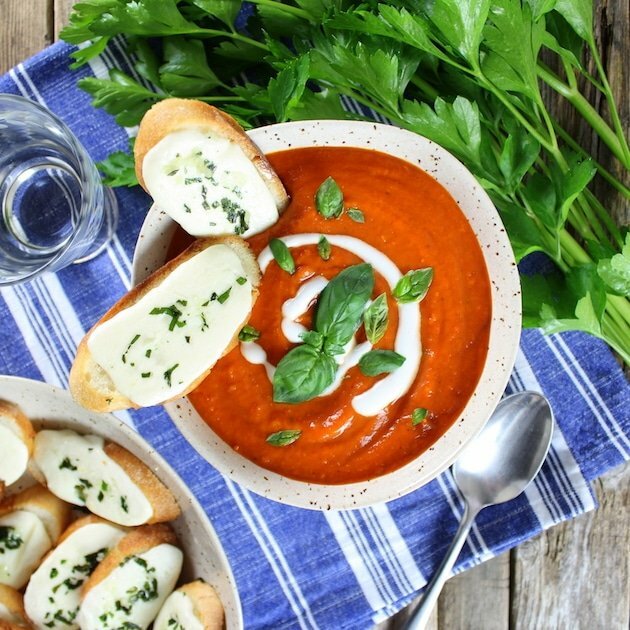 Smoky Harvest Tomato Soup with Mozzarella Crostini | Taste And See | Get the recipe HERE. I totally agree that nothing is better than a bowl of soup; all of these look fantastic! I love when the weather gets cooler and I always crave comforting bowls of homemade soup and to be wrapped up on the sofa!